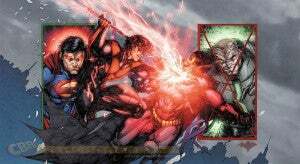 Batman/Superman Recruits Brett Booth in November--In Widescreen! Brett Booth will platoon with current Batman/Superman artist Jae Lee, with each artist drawing an arc and then trading off to the other, DC Comics announced today. Booth's first issue on the title, Batman/Superman #5, will launch in November. The issue, which DC told Comic Book Resources will feature Nightwing and Metallo, will bring the series to the modern day (its first four issues take place five years in the past, and mostly on Earth 2). "It's a semi-permanent thing. It just depends on scheduling. [Lee] will do an arc, and I'm sure Greg will cater certain arcs to whoever is drawing the book. That way we'll keep everything on track and coming out properly," Booth told CBR. For the first issue, Booth will draw the whole issue in "widescreen," an experiment rarely used in mainstream comics. Previous practicioners have included John Byrne on Fantastic Four and a Spider-Man/X-Force crossover story with art by Todd McFarlane and Rob Liefeld. Most recently Marvel revived the format as "Marvelscope" for a trio of X-Men stories and an issue of Eden's Crossing. 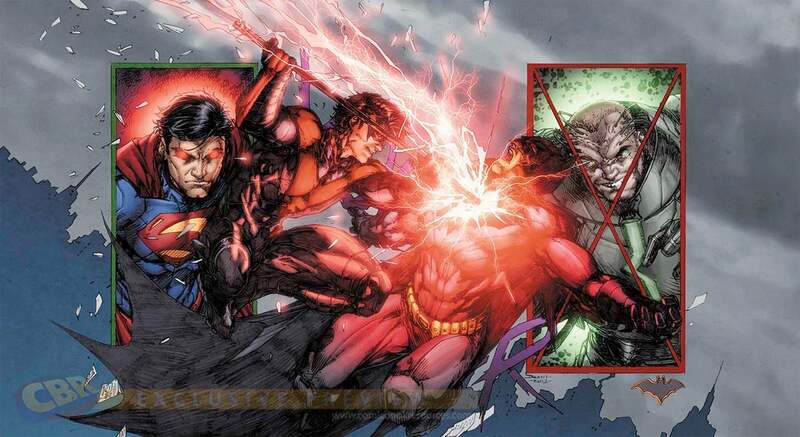 The artist has most recently done brief runs on Justice League and Nightwing.